This 7-bedroom apartment has been recently renovated so everything is new. Other than the bedrooms, the apartment consists of a fully equipped kitchen, two bathrooms, and a dining area along the corridor. There is also a large terrace where you can relax in the sun or host gatherings with friends and relax. The apartment has modern and elegant decor. All the rooms are fully furnished but come in different sizes, prices and features so you can choose the one according to what you are looking for. 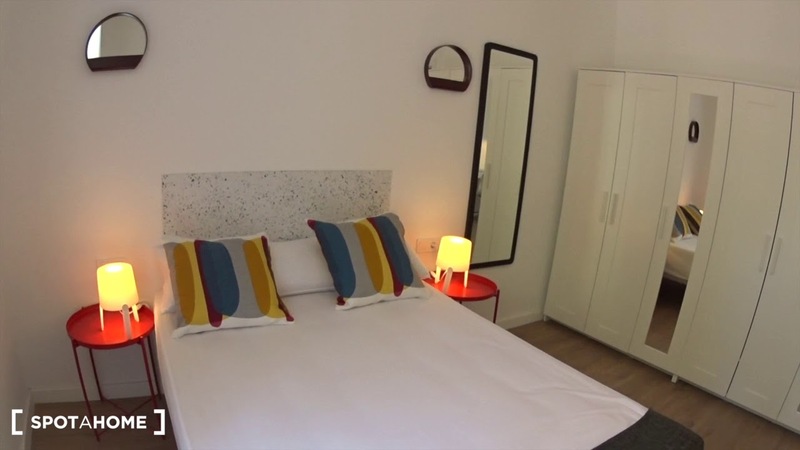 The apartment is located at the city centre so there are many things to do and see around. The Museum of Contemporary Art is located 12 minutes away, by foot. You can also go to the beautiful Joan Miró park which is located 15 minutes away, by metro. There are restaurants, bars, shops and cinemas in close proximity. The apartment has a very convenient location since it is close to the metro as well as supermarkets and banks for day-to-day chores. The closest metro station is Urgell. It is located 1 minute walk away and connects to line L1.